I’m usually not a big fan of waiting. My wife and I are pregnant, and our daughter is due to arrive at the very end of December. These days are hard! I want our little girl to be here already. “Have patience,” a voice inside me says. Indeed, the word patience comes from the Latin word patior, meaning “to suffer.” How true. Waiting is not always easy. Many have pointed out that our waiting coincides well with the Advent season, that we’re in our own advent, our own period of waiting and anticipation of our new child. And the thing is, I love the patient waiting of Advent! 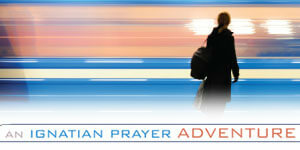 Henri Nouwen says Advent is not like waiting for a bus to arrive. Rather, “it is an active waiting in which we live the present moment to the full in order to find there the signs of the One we are waiting for.” As we go about our days, my wife and I notice other babies and their parents, reminding us of the gift that is so near. As we wait for our child’s own nativity day, we are joyfully getting her space ready and buying her clothes and supplies, “preparing the way” for our little one. John the Baptist called people to prepare the way for Jesus through repentance and forgiveness of sins. Perhaps that’s why Advent is a penitential season. Just as expectant parents prepare their homes for their coming child, we Christians prepare our hearts for the coming Christ Child. This kind of active—rather than passive—waiting requires patient trust. It requires us to be keenly aware of the signs of the Incarnation already in our midst, calling us to acknowledge just how much we need the healing Christ Child to burst into our lives. Goodness, such a hooferaw about a small term, though I realize it is significant for many. I would say, “My wife and I are pregnant,” as even though it is the woman who gives birth, the husband is so much a part of the process–supporting, buying baby things, rubbing the wife’s feet, sharing her fears and happiness. It is definitely a twosome! (I have 2 adult children and relied on my husband for his support.) And don’t forget “couvade,” where, in some cultures, the man has labor pains along with his wife. Great article, Andy Otto! Thank you for your fine insights. Thank you Allie. The phrase ‘we are pregnant’ does my my skin creep. Your own phase is so much more appropriate. Unfortunately the errant phrase prevented me from really engaging with the article. How words are used can be so important. It is a wonderful time of waiting and anticipation for the birth of one’s first child. In the same way we wait with joyful hope for the coming of Our Blessed Lord and Saviour. I know you will teach your child to walk with God. My prayers are with you all. God bless you Andy and your lady wife. Thank you for the article AND the comments. I have had my laugh for the day, No ANDY , you are not pregnant, so you will never know how it actually feels. I bet you will make a wonderful Daddy. God Bless you both and I pray that all goes well. To the comments about terminology, I find the phrase “we are pregnant” cringe worthy also. I am young and know everyone these days says it, although it makes me crazy. When I was pregnant with our daughter, I instead said “we are expecting.” We were expecting together; my male husband was not pregnant. But this was a great article. Thank you, and best wishes to you and your family. I wonder could you rephrase the statement ‘My wife and I are pregnant’. Your wife is pregnant. You, as a male, are not and could never be. You could say ‘My wife is pregnant with our daughter, who is due at end of December’ etc. Really? This is a turn of phrase that draws a ring around the father AND the mother when a couple talks about a pregnancy. No one really thinks the man is pregnant. There was so much more to comment on from this article, as the author made some very relevant observations for all of us! The idea of active waiting is so helpful for me, and for my students with whom I shared this reflection. Patience has an element of suffering in it — yes! And there is nothing wrong with suffering if you know that you are responding to a call, to a practice or a work that is rightly yours to do. There is even joy in it. And I love that. Our culture resists waiting and the discomfort of waiting at every turn, but there is so much wisdom and grace in it for us. Thanks Andy. I loved this article and hope those snagged by the ‘pregnant’ phrase didn’t miss the invitation to fully engage with the present so as to find there signs of the one we are waiting for.